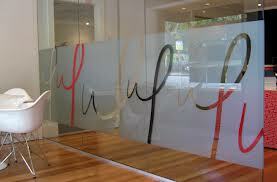 Printing Frosted Stickers for glass is perfect for when you want to Display your Artwork, Company Logo or Details. As the Sticker is frosted Sunlight can Still pass through, Giving you Privacy but not blocking you out completely. 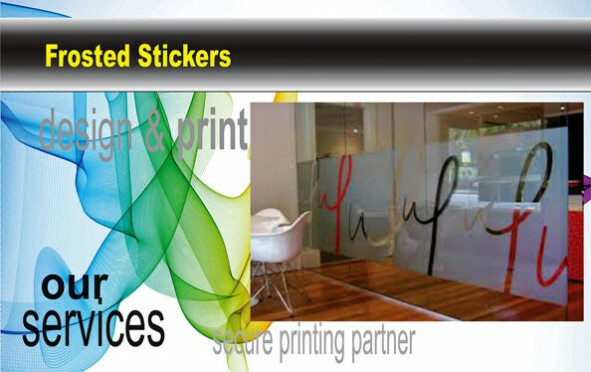 Frosted Stickers is perfect for when you want to Display your Artwork, Company Logo or Details. As the Window Sticker is frosted Sunlight can Still pass through, Giving you Privacy but not blocking you out completely.